Edenton, North Carolina. This town conjures up many images in my mind, including ones of original colonial architecture, old cemeteries, Christmas candlelight tours, the Annual Pilgrimage of Historic Sites and one of the South’s prettiest towns. Situated in the northeastern part of the state on the Albemarle Sound and Chowan River and located in Chowan County (the former and the latter are named for the Chowan Indians), Edenton is listed in the U.S. National Register of Historic Places, with 342 contributing buildings, 4 contributing sites, and 3 contributing structures. Outlander readers are first introduced to Edenton in Drums of Autumn. Jamie & Claire have arrived in Wilmington and have been invited to attend a dinner party with Governor Tryon at the home of a Mr. Lillington. A young man, a “dandy” as Claire notes and his somewhat snarky sister are in attendance at the dinner. The man’s name is Phillip Wylie, a wealthy landowner from Edenton. Edenton’s history, however, goes back much further than the 18th century in which Claire finds herself so let’s do a little time traveling. Settlers in the northern areas of the New World began to feel crowded, and started venturing south. It wasn’t easy to travel south past coastal Virginia because of the Dismal Swamp. (Yes, that would be the same Dismal Swamp where Young Ian and William find themselves in An Echo In The Bone). Not to be deterred, however, these determined early settlers were able to find a way to get to the area which is now Edenton by way of the Chowan & Roanoke Rivers and the Albemarle Sound plus the many tributaries and creeks which surround it. This was a wild territory but offered abundant food sources and fertile land for farming. The earliest knowledge of settlers near the Chowan River is in the 1650’s. These people had to be pretty scrappy to live in this area – keeping peace with the native people, battling the abundant “muskeetoes,” withstanding hurricanes, and having to work themselves into the ground just to live. Visiting ministers noted that women dressed like “ladies,” but would man a boat barefooted, or carry a gun into the woods and bring home supper! (This was no Little House on the Prairie, y’all!) It was so sparsely populated, that people lived by their own rules, and some historians believe it was comparable to the Wild West of television. Someone, somewhere needed to take control of these unruly folks, keep the peace, and make some money off this rich and “goodly” land. Handsome devils, they, these Lords Proprietors were appointed not only to try to govern the lawless people there, but to make money from the sale of land that settlers from the north so badly wanted to live on. With titles such as Lord, Sir, Duke & Earl, it is easy to assume these men were already well off, but can one ever have enough money? And so, the Albemarle region, which included the area which is now Edenton, was created and the settlers came. It took some time and money to get the people and land a little more organized. In 1712, present-day Edenton was named “ye towne on Queen Anne’s Creek,” and leaders put forth a motion to build a courthouse. The governing body would normally meet in plantation homes, but this was getting difficult, and they needed a home base. The stick frame courthouse was built, however, the Towne had little other proof they were “civilized”, except for half acre lots in the town around the courthouse. When Governor Charles Eden died in 1722, leaders decided to officially incorporate the town, and they called it Edenton, in honor of the deceased governor. The growing town became the capital for the North Carolina province from its incorporation to 1743. The original courthouse was soon replaced by two more buildings. Apparently, the town board wasn’t happy with the location, or perhaps, the architecture – whoever knows? 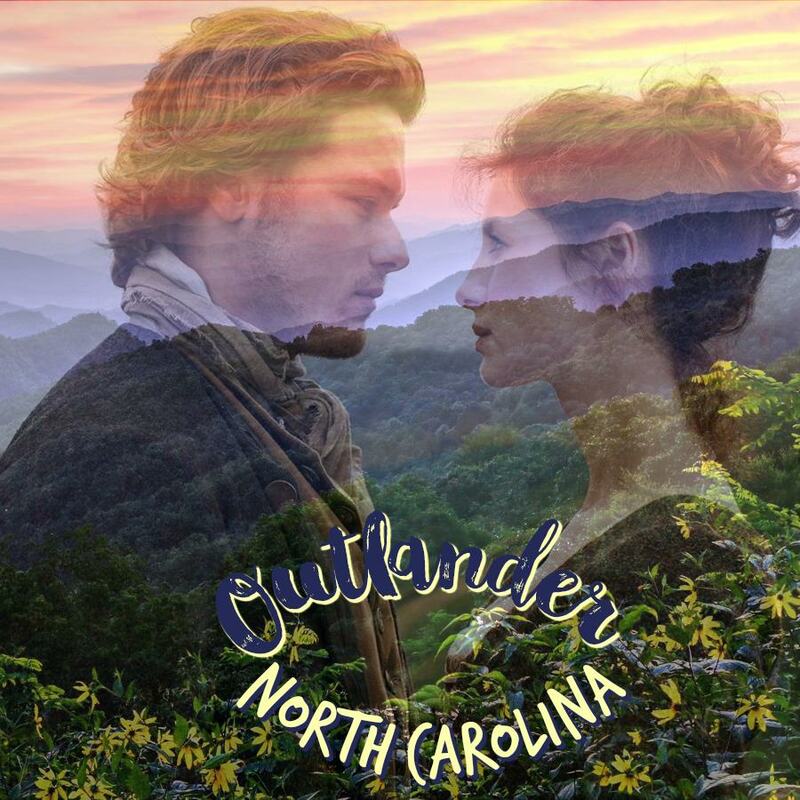 – and in 1767 (this would be the same year Jamie, Claire & clan came to North Carolina), replaced it with the simple but beautiful brick and mortar Georgian-style building we can see today. Now is a perfect time to visit Edenton, named by Forbes Magazine as one of the South’s Prettiest Towns in 2008. They have a walking tour, as well as a trolley to hop on and tour the town. If you want to see original Colonial architecture and some of the most beautiful historic homes in the United States, Edenton is the place to go and spend a day, a weekend or even longer! Would you be willing to step back in time to the beginnings of Edenton? Also, if you’ve visited Edenton, tell us about it in the comments. We’d love to hear from you! Wait! Maybe you’ve never visited Historic Edenton but would you like to? Check out these links for more information on where to stay plus what to see and do: Visit Edenton and Historic Edenton. Lovely piece! Thank you Susan. I didn’t know if Edenton was worth visiting and now I want to go to this charming little town. Yes—you must visit Edenton. I’m writing another post or two about it, so you’ll get to see and learn about more historical places and events that took place there. The oldest house in N.C. was discovered there recently, and to see it, you wouldn’t believe it. 😄 When you go, have dinner at Waterman’s Bar & Grill—my daughter serves there and they have great food and service. Nice B&B’s there, too!